The design of the code, hardware, and Smart Sleeve supports the vision of a modular framework for cell growth platforms. In our submitted manuscript, we outline how to construct an example Smart Sleeve, for laboratory continuous culture, and apply it to several diverse and exciting applications. For modularity, each experimental parameter on a set of 16 Smart Sleeves (e.g. temperature) is controlled by its own Arduino micro-controller. These Arduinos are constantly updated with target conditions by a Raspberry Pi, that acts as a bidirectional relay between eVOLVER and python code, to program experimental routines between parameters. The code repository reflects functional versions of the code used in our submitted manuscript. Improved codes with more extensive documentation is in the works! The hardware framework packages all the connections from each Smart Sleeve to the correct control boards and Arduino controllers. For customization of parameters, the Motherboard can be accessorized with supplementary boards. 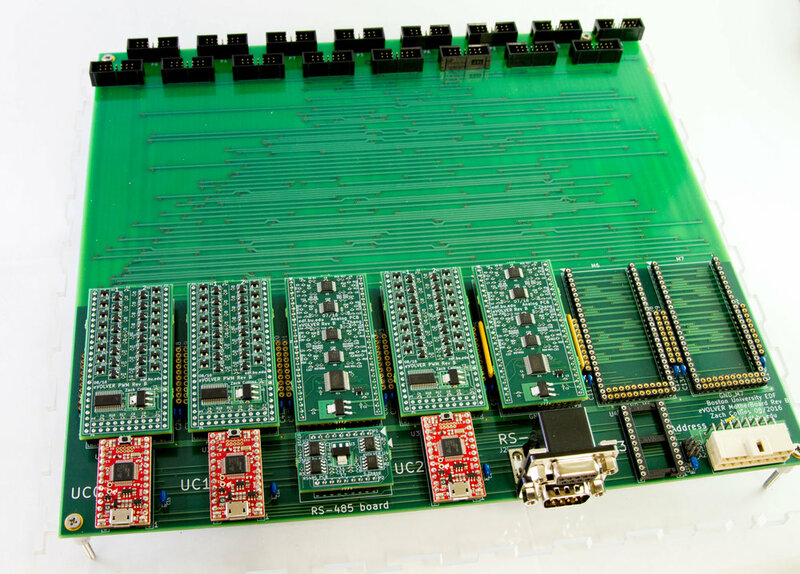 For our submitted manuscript, we created two boards: the PWM and ADC plugins. The eVOLVER framework can support many different Smart Sleeves. In the manuscript, we describe a version that is well suited for laboratory continuous culture. This unit is easy to produce with tools readily accessible at most Universities or Maker spaces (3D printer, machine shop). Hardware is made available via the Creative Commons Attribution Share-Alike license, which allows for both personal and commercial derivative works, as long as they credit Fynch Bio and release their designs under the same license. The eVOLVER software is also open-source and released under the GPL.